I got some loot boxes for Paragon as part of one of the Humble Bundles I bought (think it was the E3 bundle for 2017). I have been really enjoying the game. It is a great MOBA with lots of different types of characters to play. 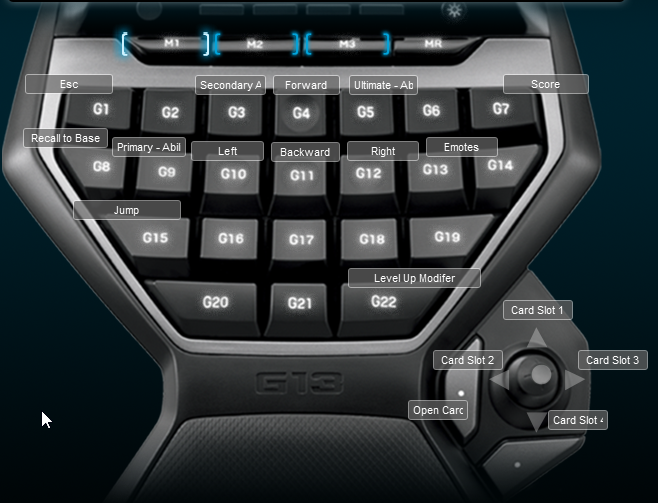 I made a Logitech G13 profile for it because one didn’t exist. IThe profile works well and is similar to a typical FPS setup for me. The ability buttons are the non standard FPS buttons and they are in easy to reach places.